This isn’t about “consulting.” This is about relationships that get results. Whether designing an executive education program based on your organization’s unique challenges, building a multidisciplinary team where our experts collaborate with yours to develop transformative insights, or providing cutting-edge research focused on driving your organization forward, we take a collaborative, customized, evidence-based approach that starts with understanding and ends with real, measurable results. Every engagement begins with understanding. When you contact us, we’ll take the time to sit down with you. We’ll listen. We’ll learn. We’ll answer your questions and help you better understand how we can help. After gathering the knowledge we need to understand how we can help, we’ll develop a customized solution designed to draw on the combined knowledge of our faculty, our resources, our students, and our decades-long experience of building mutually-beneficial relationships with corporations and other organizations. And because we know the best relationships are collaborations, we’ll propose a plan to integrate your in-house experts into our team. Once we’ve agreed to the scale and scope of the engagement, we’ll bring our experts together with yours to deploy a solution that’s going to get you the results you need, a solution customized based on what we know about you. 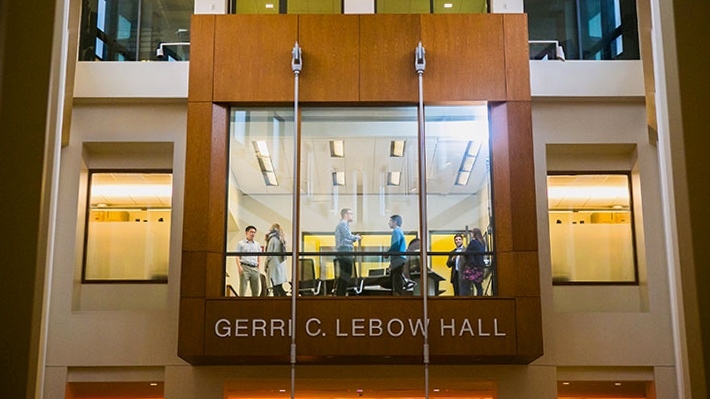 While some of our engagements involve only one of our three focus areas – executive education, faculty consulting, or curricular partnerships with our students and faculty – many of our relationships involve a combination of approaches. While we might begin with a single project, we believe that the best results arise from strong relationships, and that strong relationships come from reflection and growth. We’ll work to understand how we did, measuring the impact of our engagement so that we can learn and grow together.